Prl. District and Sessions Judge, Mandya. I Addl. District & Sessions Judge, Mandya. II Addl. District & Sessions Judge, Mandya. III Addl. District & Sessions Judge, Mandya. Sitting at S.R.Patna. V Addl. District & Sessions Judge, Mandya. Prl Senior Civil Judge and CJM, Mandya. I Addl Senior Civil Judge and CJM, Mandya. Prl Senior Civil Judge and JMFC, Srirangapattana. Addl Senior Civil Judge, Srirangapatana. Senior Civil Judge and JMFC, Krishnarajapete. Prl Senior Civil Judge and JMFC, Pandavapura. Addl Senior Civil Judge and JMFC, Pandavapura. Prl. Civil Judge and JMFC, Mandya. Addl Civil Judge and JMFC, Mandya. II Addl Civil Judge and JMFC. Mandya. Addl Civil Judge and JMFC, Srirangapattana. Addl. 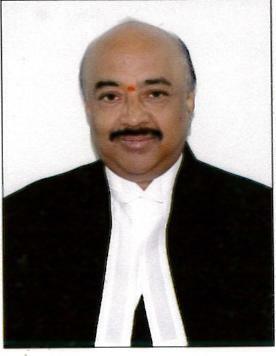 Civil Judge and JMFC, Krishnarajapete. Civil Judge and JMFC, Nagamangala. Addl. Civil Judge and JMFC, Nagamangala. Prl Civil Judge and JMFC, Maddur. III Addl Civil Judge and JMFC, Maddur. IV Addl Civil Judge and JMFC, Maddur. Civil Judge and JMFC, Malavalli. I Addl. Civil Judge and JMFC, Malavalli. Civil Judge and JMFC, Pandavapura. Civil Judge and JMFC., Pandavapura. II Addl. Civil Judge and JMFC., Pandavapura.